A commercial property company has re-paid a three-year loan ahead of schedule after attracting several high-profile occupiers to a multi-million pound speculative development in the West Midlands. Goold Estates secured a £3.7m loan via Finance Birmingham and the West Midlands Combined Authority Collective Investment Fund in July 2017, to enable the construction of the 75,000sq ft Steelpark Trading Estate in Wednesfield. The loan was to be paid back over the course of three-years, but after three of the site’s six industrial/warehouse units were snapped up, funding has been repaid less than 12 months after the first drawdown. 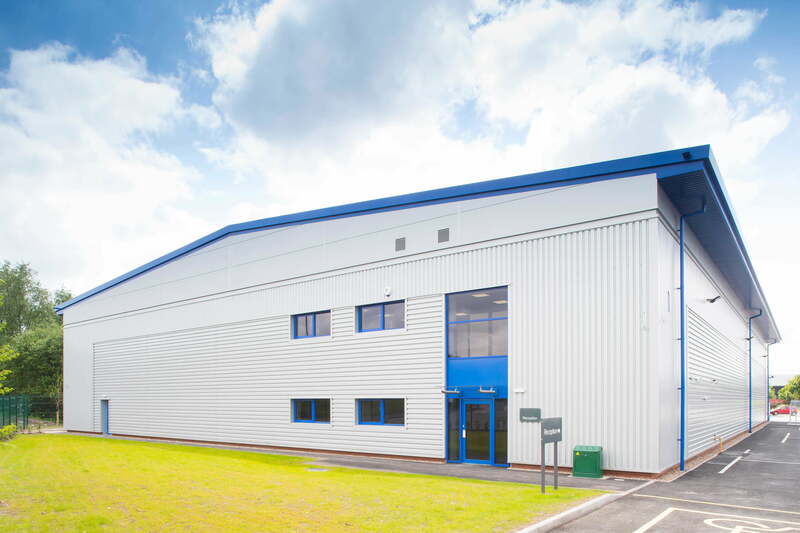 Oldbury-based Goold Estates is a commercial property, investment and development company specialising in industrial and office property across the West Midlands. Dominic Goold, managing director of Goold Estates, said: “Working with Finance Birmingham has been very practical and straightforward and reduced the level of risk involved in the project. It has enabled us to deliver a high quality speculative development in a much quicker timeframe than would otherwise have been possible. “The Steelpark site, which is adjacent to the Tata Steel Automotive Service Centre, had been vacant and available for development for many years. We acquired it in September 2016 and acted quickly to secure planning consent and get the development underway. All of the six units were built speculatively, for sale or lease, because we were confident of a strong demand in the market. Three units are now occupied, one is under offer and only two remain available. The Steelpark development, which was awarded planning consent from City of Wolverhampton Council, reached practical completion in early 2018. Since then, Goold Estates has been fitting out the shell units to occupiers’ requirements. The development has attracted significant investment and generated dozens of new jobs. Last year it was announced that Kinetrol Ltd, manufacturers of rotary pneumatic actuators, had acquired a 7,754 sq ft unit at Steelpark for an undisclosed sum. Earlier this year a UK leading stockholder of engineering metals and plastics, signed a 10-year lease on a 11,470 sq ft unit at the trading estate. Steelpark Trading Estate is based in a sought-after location with excellent access to the motorway network, being just 4.6 miles west of J10 M6 and four miles south of J1 M54. One of the six completed units at the Steelpark development in Wednesfield.